We Olive & Wine Bar specializes in small-production, boutique California wines. We offer wines by the glass and bottle, and American craft beers and ciders as well as tasty olive oil-inspired small plates. 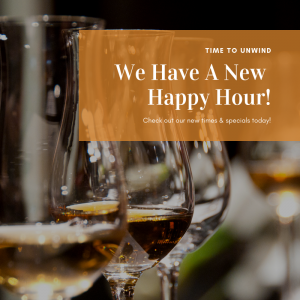 Check out our NEW Happy Hour specials and hours below!